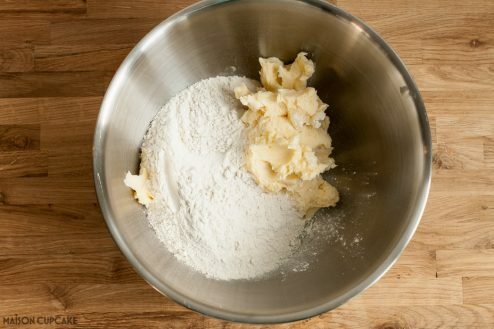 Slice and bake cookies are super to have on standby for a freshly baked biscuit. 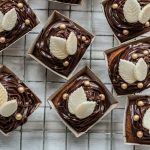 This version is flavoured with lemon and topped with instant royal icing. 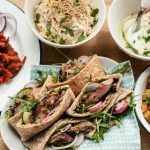 Recipe post commissioned by The White Company. Truth be told I am much more of a biscuit fiend than I am an eater of cake. As you may know I am especially fond of decorating cookies but deem these more “art” than food. 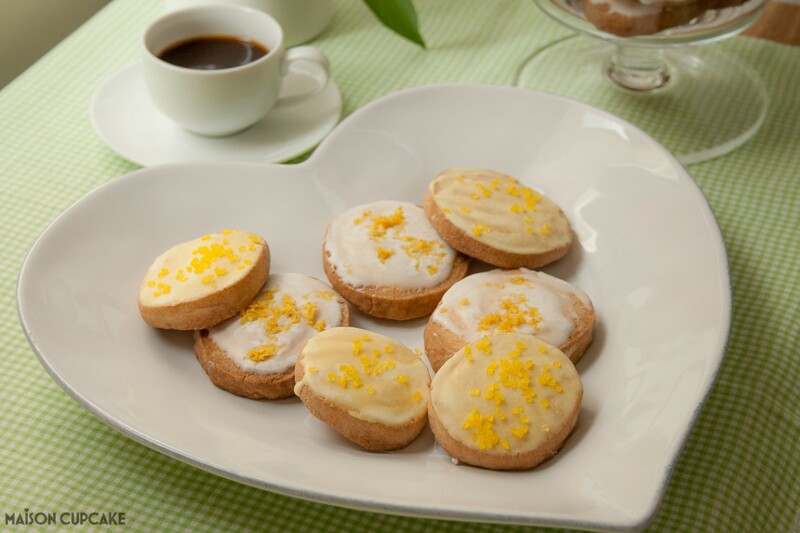 Sometimes I just want to eat a proper biscuit and these lemon glazed cookies are a happy medium between chunky substantial biscuit you’d keep in a cookie jar and something pretty with some decoration. I can happily ignore the bumper family tin of biscuits we inevitably receive around Christmas. But homemade biscuits are a different matter. They burn a hole in my psyche and scupper my willpower. And that is where these slice and bake cookies fit the bill nicely. 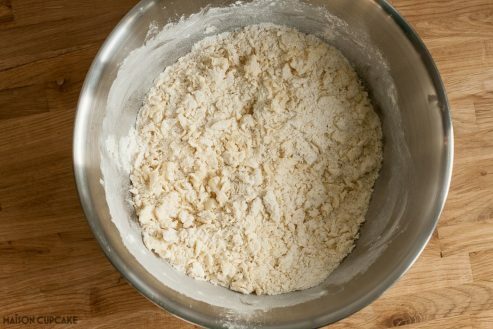 You can make the dough in advance and keep it either in the fridge for a week or the freezer for one month. 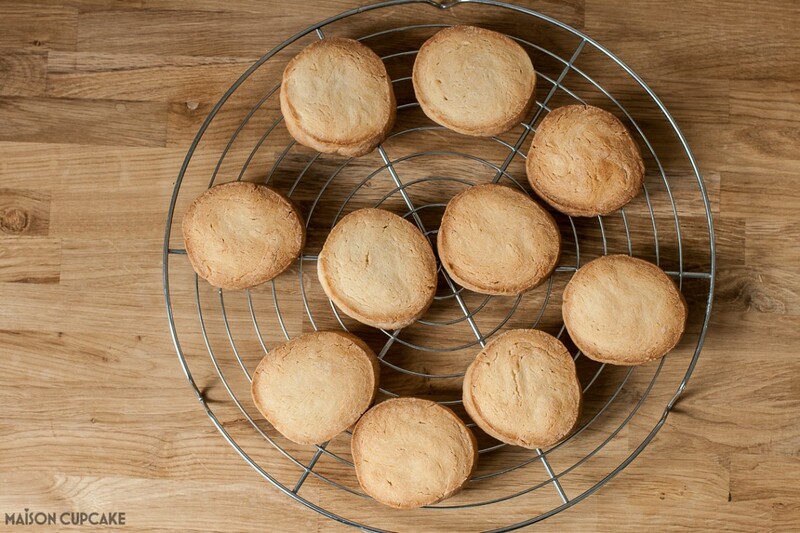 Simply slice off as many cookie dough discs as you need and bake a small batch on demand. 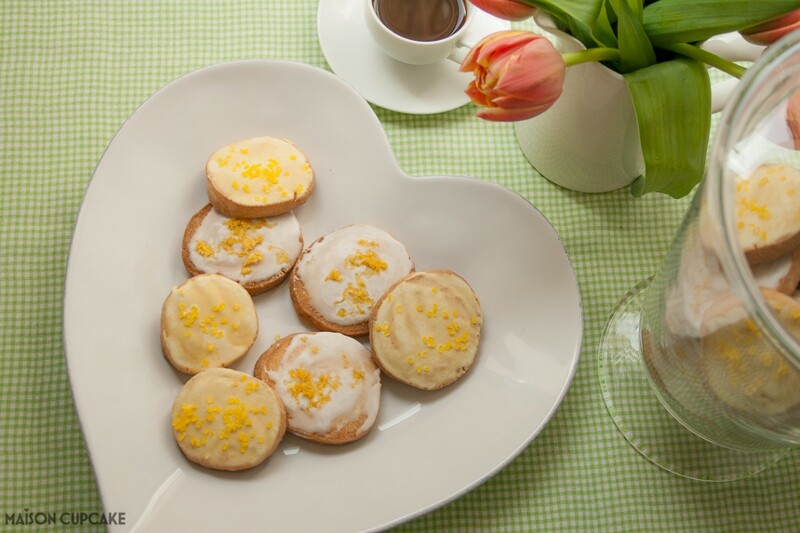 These lemon cookies are displayed on the Porto Stoneware Heart Plate (£20) and in the large Bon Bon Jar (currently £40 reduced from £50). Both items are from the gorgeous range of home accessories you will find at The White Company. I’ve been a fan of The White Company ever since discovering their store at Bluewater shopping centre in Kent many years ago. I invested in some of their towels with our wedding money back in 2004 and happy to report they still look and feel fabulous twelve years later. 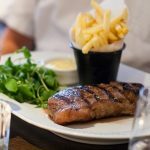 I also have a fondness for their nightwear – nothing like a soft cotton jersey cami or pyjama set to wear snuggling on the sofa. Our other big purchase from The White Company was once a pair of wooden deckchairs! We bought them because they reminded us of a hotel we’d stayed in on Ile de Ré. They’re very comfortable and you can rock about gently in them. 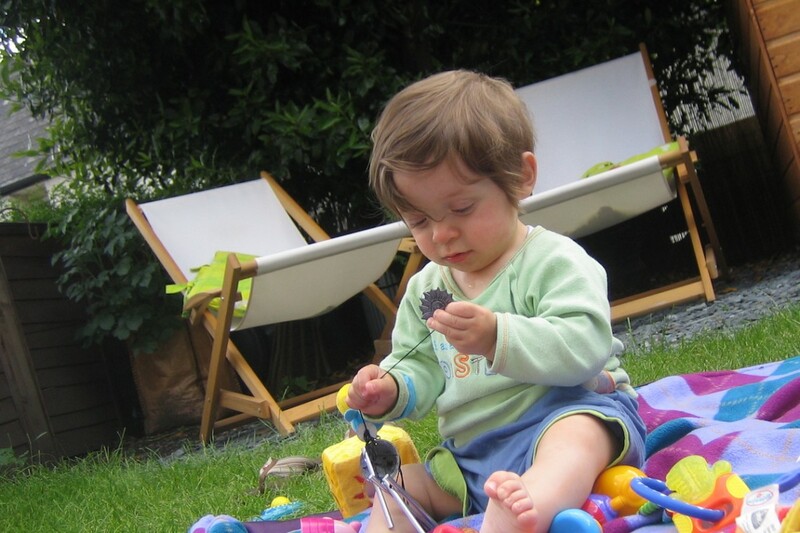 This is the only photo I could find – taken on Ted’s 1st birthday back in 2008 which means we’ve been using them a very long time. 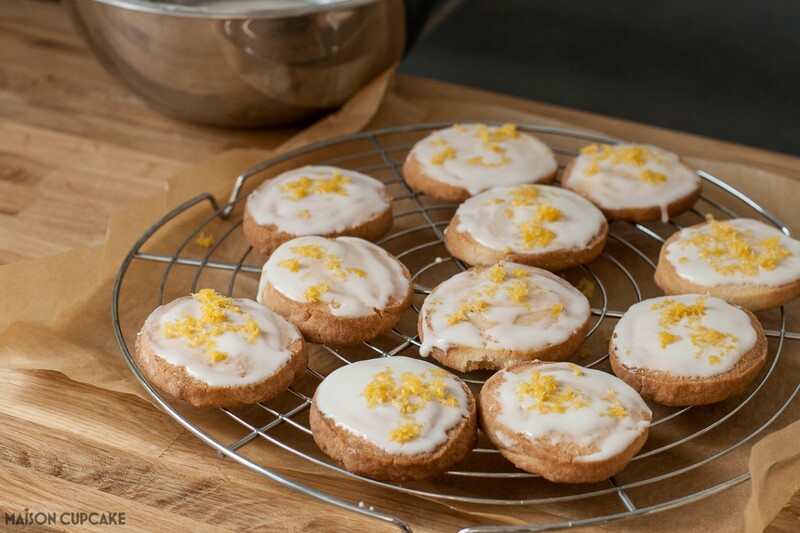 But enough nostalgia – I just wasted half an hour cooing at baby Ted pictures whilst looking for this – you want to know how to bake these glazed lemon cookies so here are the instructions below. 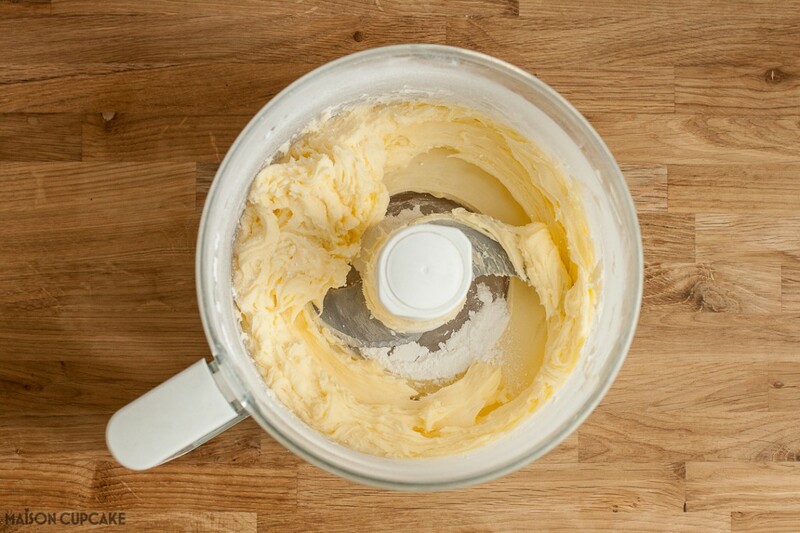 With a food processor, blitz the butter, icing sugar and lemon extract until light and fluffy. 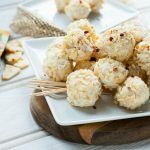 In a large bowl, combine this mixture with the flour and rub together until it resembles bread crumbs. 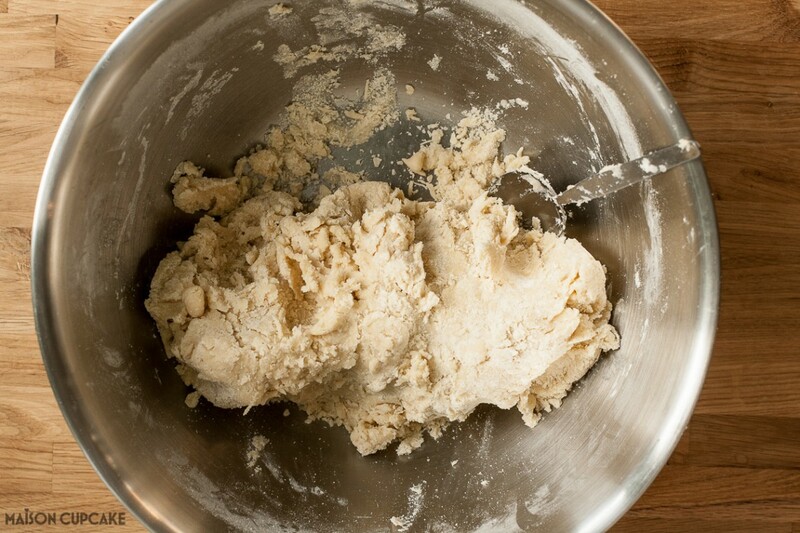 Adding the milk, draw the mix together into dough. 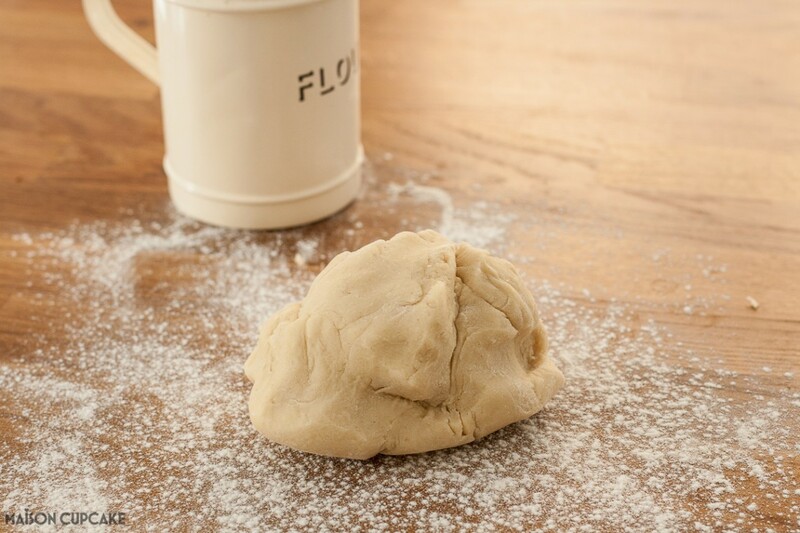 Divide the dough into 2 balls and knead on a floured surface until smooth. 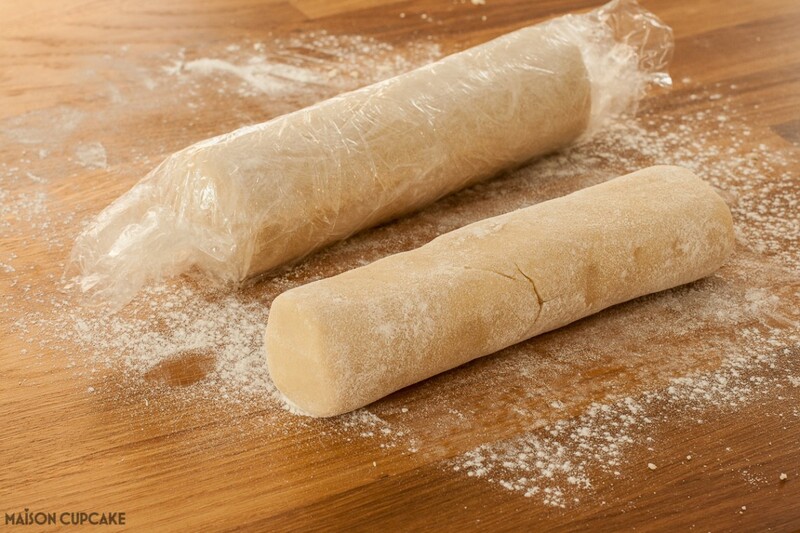 Roll the dough into logs 7-8cm diameter, wrap with cling film and chill for 1 hour. (Or freeze for up to 1 month). Pre-heat the oven to gas mark 3 / 160c. 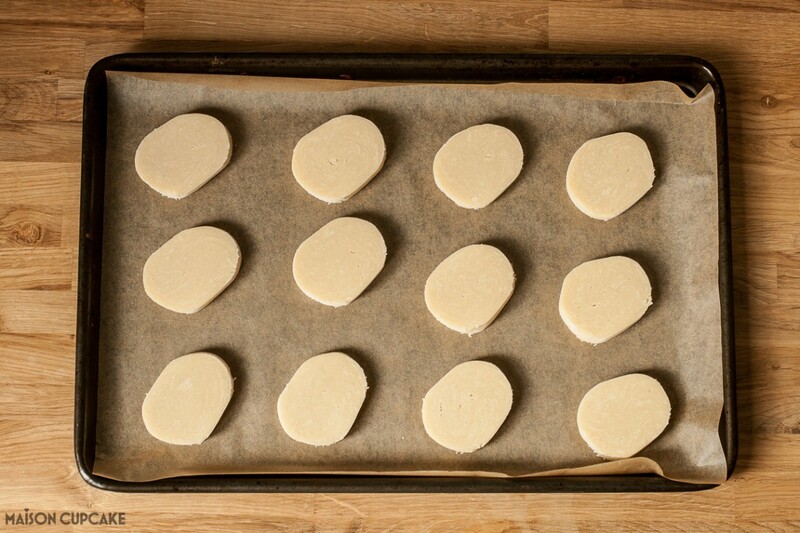 When firm, slice the dough into 1cm thick discs, place 3cm apart on baking trays lined with baking parchment. Bake for around 18-20 minutes until golden. Set aside to cool. 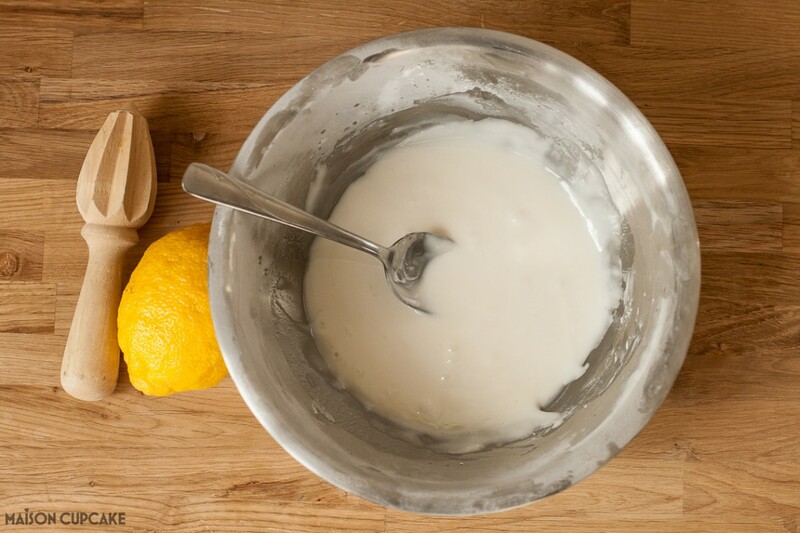 Meanwhile in a medium sized bowl, mix the instant royal icing with lemon juice spoon by spoon to gauge a consistency that just about pours. 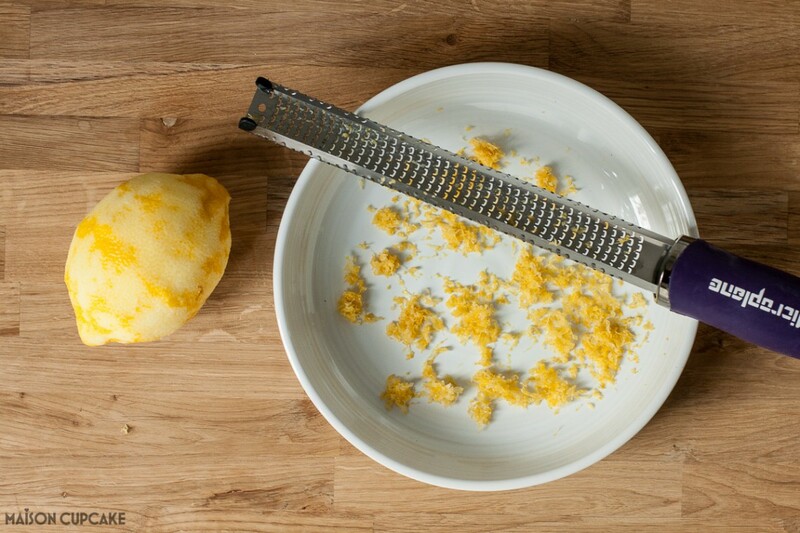 Use a microplane grater to zest a lemon. 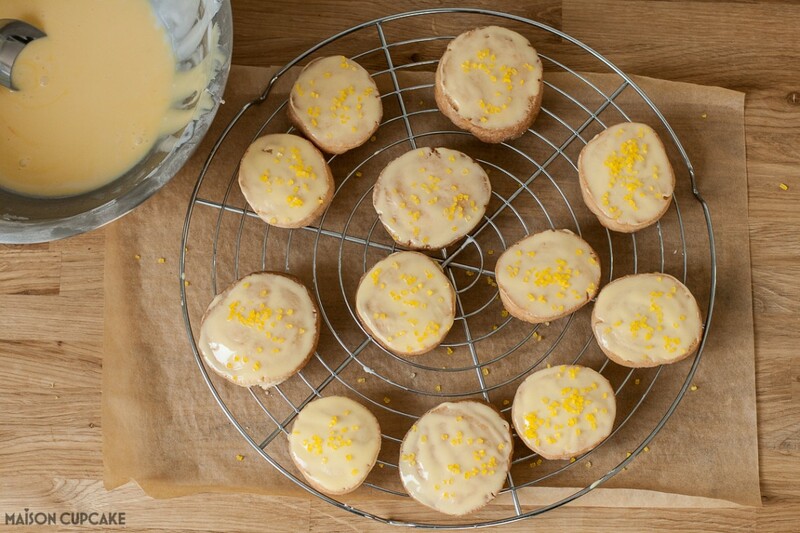 Spoon the icing onto the cooled cookies and whilst still wet scatter with lemon zest. 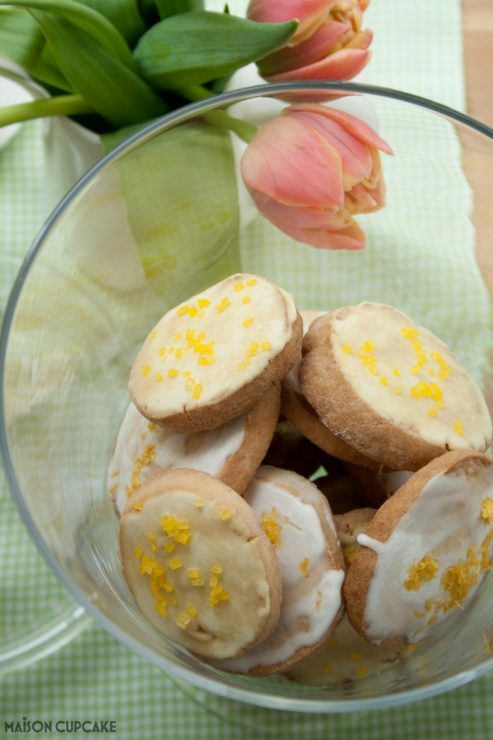 An alternative version is to add a touch of yellow food colouring to the icing and scatter with yellow sugar sprinkles. 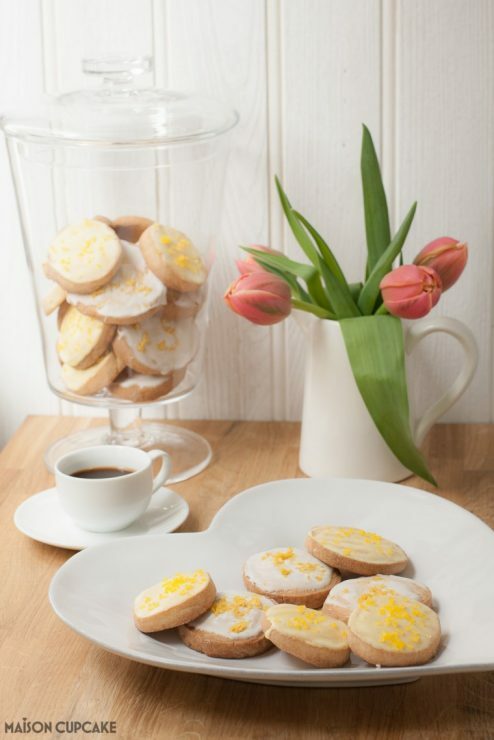 I hope you get chance to try these lemon cookies and don’t forget to check out more lovely home accessories over at The White Company. 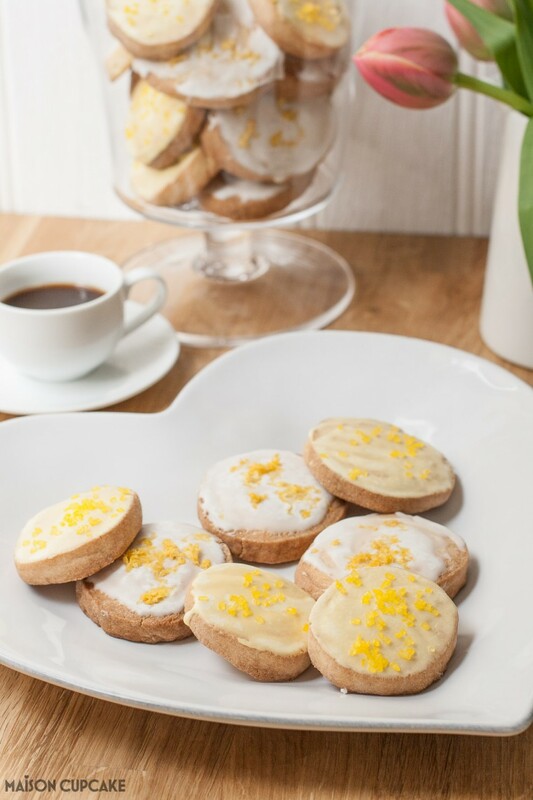 Glazed lemon cookies recipe post commissioned by The White Company. They will be publishing it in a more printable format there as well but the text will be exactly same as the captions to step by step pictures above. 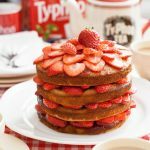 I don’t think that ‘just bake a few at a time’ idea is going to work for us!! Ooh they are – even my husband commented and he’s not usually especially enthusiastic about things I make!! These DO look good Sarah! Always good to have slice and bake biscuits on hand! I’m wondering about the instant royal icing though – where does one get that, then? It’s sold in all major supermarkets in the UK – hadn’t realised it wasn’t a “thing” everywhere! 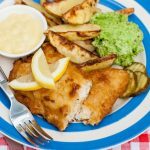 You can of course sub with an egg white version – recipe for which is elsewhere on here and I’ll add a link in at some point. 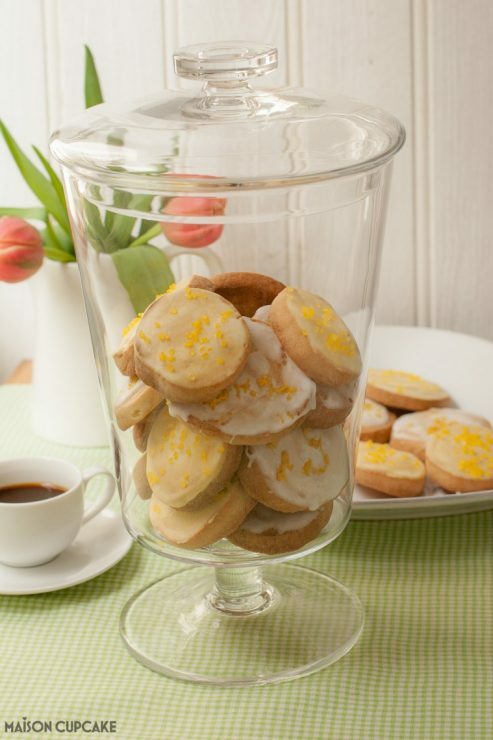 I love a good lemon cookie – The decoration possibilities are endless. I have serious envy for your BonBon jar! Thanks for all your hard work on #BakeoftheWeek this week. 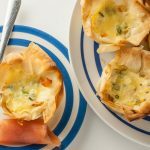 These look wonderful!! 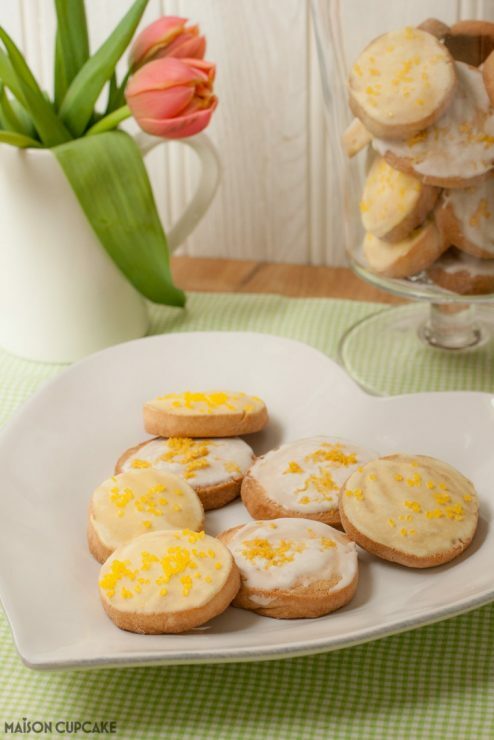 My family loooooooves lemon flavor and they’d looooooove these cookies! Yummy Cookies! 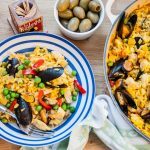 Thanks for sharing such an amazing recipe with us. Really loved to visit your blog.